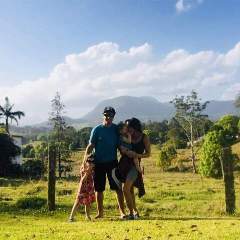 We are a young family of four, living our dream, travelling full time on the road in our caravan exploring Australia with our two little girls in tow. We call ourselves the adVANtourists (which pretty much refers as us being tourists travelling in a Van, up for new adventures) this is also the name of our Facebook and Instagram pages, to allow our friends and family to follow our travels. – Tammy, originally from Tamworth in NSW, she lived most of her life in Qld around Brisbane. She loves the outdoors and it didn’t take much convincing to put her career in health on hold to explore this beautiful country. – Bella, 4 years old, extremely social, polite and gentle, and like any little human can be over excited at times but overall a very happy kid. We sold EVERYTHING to travel this beautiful country between 12 to 18months. A question we get all the time is what made you do it ? What were the deciding factors? We were sick of being stuck in the mainstream rat race of society, The 9-5 grind just wasn’t for us anymore. Pascal worked away often and missed a lot of the special moments of the girls growing up and didn’t want to miss anymore, Timing was perfect before our eldest is due to start school. 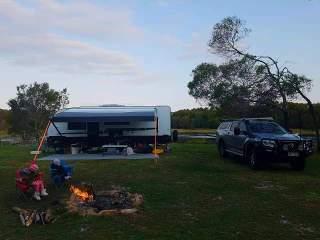 We also wanted to relocate somewhere different than Brisbane, or at least away from a big city, as the country life suits us better. We haven’t figured out where we will live once we finish our lap yet… but are actively looking. Speaking of timing when is it ever the right time ? We made this our time. We are still young and able and the kids are having an absolute blast. Like anyone who commits to such a big move, it took A LOT of preparation, research and planning. 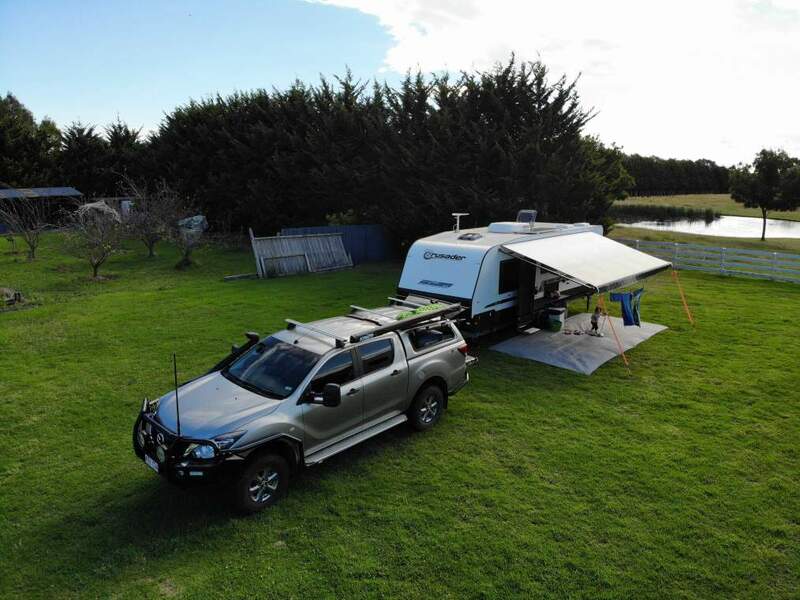 Renovation prior to selling the house, selling all the furniture, attending and visiting 4WD and caravan shows and shops, learning, comparing and finding what will suit us, budgeting everything, training replacement person at work etc… and all that with the usual life commitments and young kids. It took us about 9 months of craziness to get it all sorted and finally leave our drive way ! We left Brisbane in September 2018, We are travelling clockwise, our current location is Victoria. 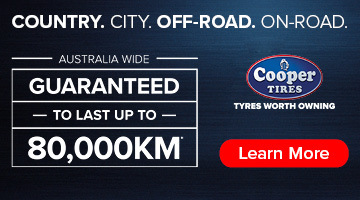 We have already clocked 10000kms and awaiting our Tassie trip coming up the end of this month for 6 weeks. 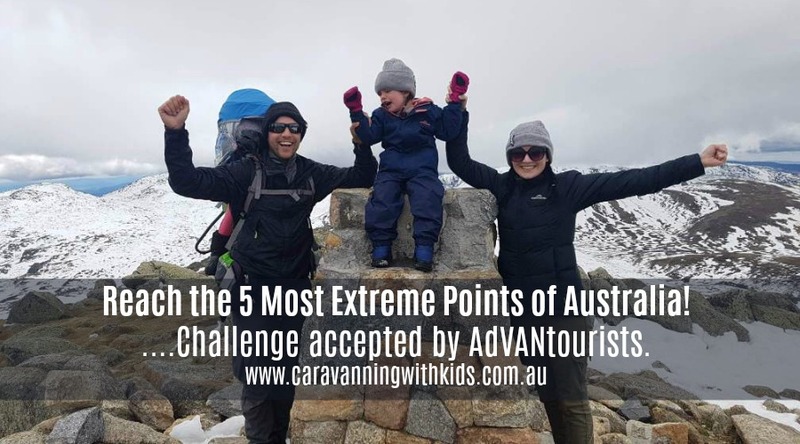 We added an extra challenge to this trip by trying to reach the 5 most extreme points of the Australian Mainland. So far we have managed to reach 3 out of 5. With our fair share of struggle… We definitely had to push our limits to reach our goals ! Especially for Mount Kosciuszko where it was challenging physically but also mentally. It was such a great experience for all of us. This lifestyle is amazing and very addictive, the sense of freedom is real. 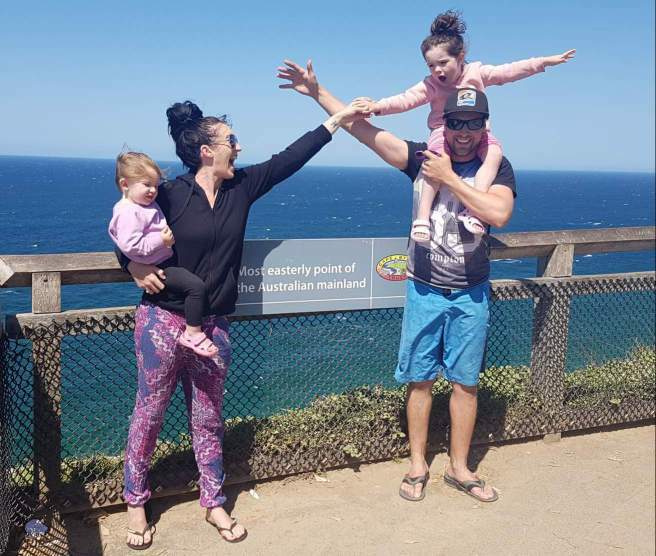 We are discovering amazing places, meeting awesome people and are fortunate enough to do these things together and continue to grow as a family unit. We heard many times that we’ll learn constantly lots of things being on the road, we can totally relate this statement now. Being on top of each other 24/7 in a caravan with no privacy sounds pretty average, but you actually get to enjoy it pretty quickly and more importantly get to know each other on a another level. The kids become more social and aware of their surroundings. They discover nature, use their imagination and learn to play with less, they also constantly meet new people and make friends (or not… ) all of this helps shapes their personality. And once our very energetic kids are in bed one of the thing we like doing is spending a bit of time video editing. 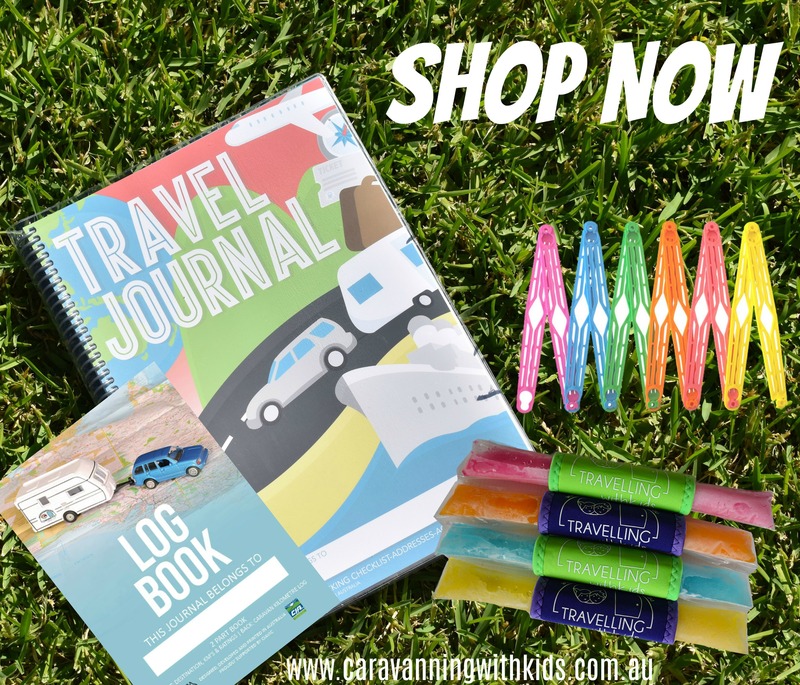 It is a great way to share our adventures and remember our travels for years to come. Stay safe and see you on the road.